Disgruntled employees pop up in all workplaces. They may be responding to the pressure of working in a fast-paced environment for demanding bosses. They may bring their personal difficulties into work and allow them to influence their interactions with coworkers or their performance. They may perceive they are being treated less favorably than their coworkers in terms of pay, perks, recognition, performance ratings, or other terms of their employment. 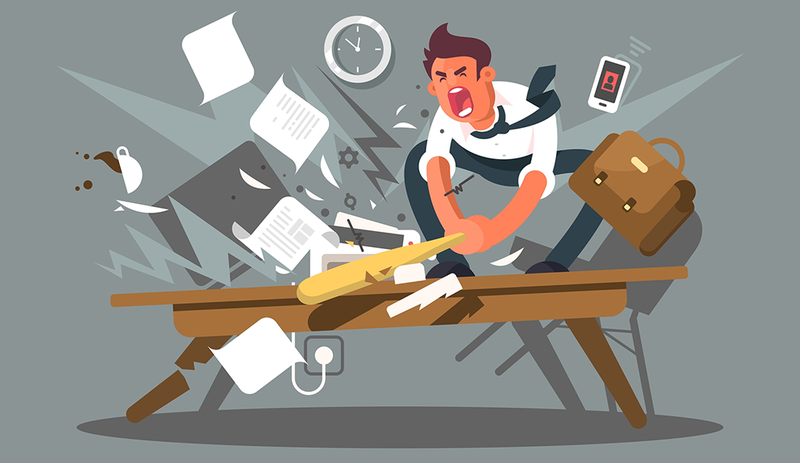 In today’s workplace, managers must be prepared to confront quickly and effectively disgruntled workers before they result in public outbursts, lawsuits, or even violence. Employers can take a series of actions to prevent and minimize the impact of disgruntled workers, and it all begins with the recruiting process. Recruiters should be wary of hiring employees who demonstrate negative attitudes toward prior employers, or whose references highlight poor interpersonal skills or the failure to accept constructive feedback. When screening and interviewing candidates, be on the lookout for any and all red flags that could suggest a candidate is likely to become disgruntled if hired. A proper onboarding process gives employers the opportunity to set the tone and expectations for a new hire’s tenure with the company. The onboarding process should outline acceptable and unacceptable workplace behaviors, and it should emphasize the importance of treating other employees with respect and dignity. Train employees about prohibited actions, including discrimination, sexual and other forms of unlawful harassment, and retaliation against workers who report valid workplace concerns. Educate employees about bullying and workplace violence. Provide additional and separate management training so managers know how to recognize signs of discord, potential violence, and other forms of unacceptable workplace behavior. Finally, arm managers with tools to address problematic workplace behavior before it spirals out of control and taints the work environment. Once employees are on board, the work continues. Employers must be attuned to employee morale and be proactive if they observe problems. To accomplish this important task, employers should create avenues for employees to internally report their workplace concerns and grievances. Instituting an open-door policy and/or a formal internal grievance system are both powerful steps in the right direction. The goal is to promptly identify and address employee concerns to prevent them from spreading or worsening. Effectively handling employee concerns internally reduces the likelihood of employees making their concerns public through social media, the press, or lawsuits. Employers also must have robust internal systems for investigating complaints of bullying, discrimination, harassment, and retaliation. This system should be communicated to employees in writing and should be easy to access. Employers must promptly respond to complaints by engaging in full and fair investigations that consider all sides and perspectives. Employers should evaluate a host of potential solutions, which may include transfers, accommodations to the work environment, leaves of absence, training, and improved communication with management. Employers should discipline employees engaged in wrongdoing, even if it means terminating an otherwise valued employee. When employers are willing to do what is necessary to correct problems in the workplace, they substantially minimize the risk of legal action and workplace violence. Occasionally, disgruntled employees choose to air their grievances outside the workplace. More rarely, they may engage in threats of violence or actual violence against company employees, customers, or visitors. Employers must have plans in place to respond to these situations before they arise. This might involve designing crisis response plans with the company’s communications team, building security, local law enforcement, and local hospitals. The bottom line is to acknowledge that there will always be disgruntled employees. Employers need to plan for them in much the same way as they plan for other potential business problems. Taking proactive steps today can prevent situations from spinning out of control while making the workplace environment more pleasant, safer, and more productive. Debra S. Friedman, a member of law firm Cozen O’Connor, counsels both large and small businesses on all aspects of employment law compliance. Debra may be reached at dfriedman@cozen.com. Debra S. Friedman, a member of law firm Cozen O’Connor (www.cozen.com), counsels both large and small businesses on all aspects of employment law compliance, including how to attract and retain talent in a legally compliant manner. She assists employers with workplace investigations and advises them how to avoid legal exposure when disciplining and terminating employees. Debra also defends businesses in discrimination cases and other workplace matters. Debra may be reached at dfriedman@cozen.com.